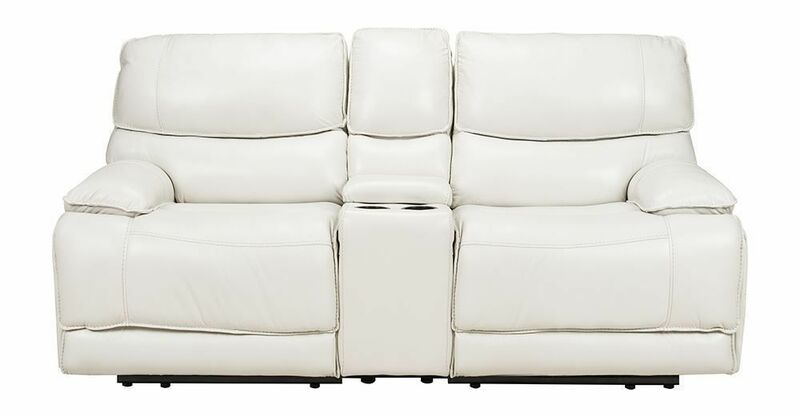 Relax with ease with the Sky Ice Power Reclining Console Loveseat. 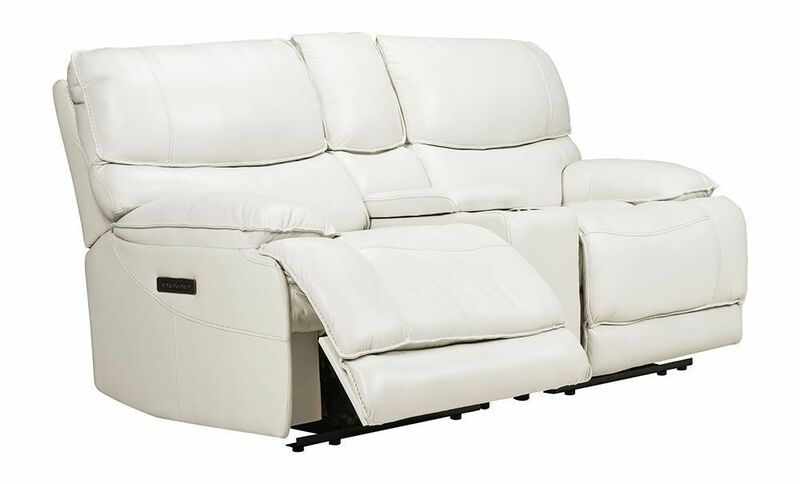 Whether placed in a media room, home theater, or family room, this loveseat invites not just moments of relaxation, but hours. 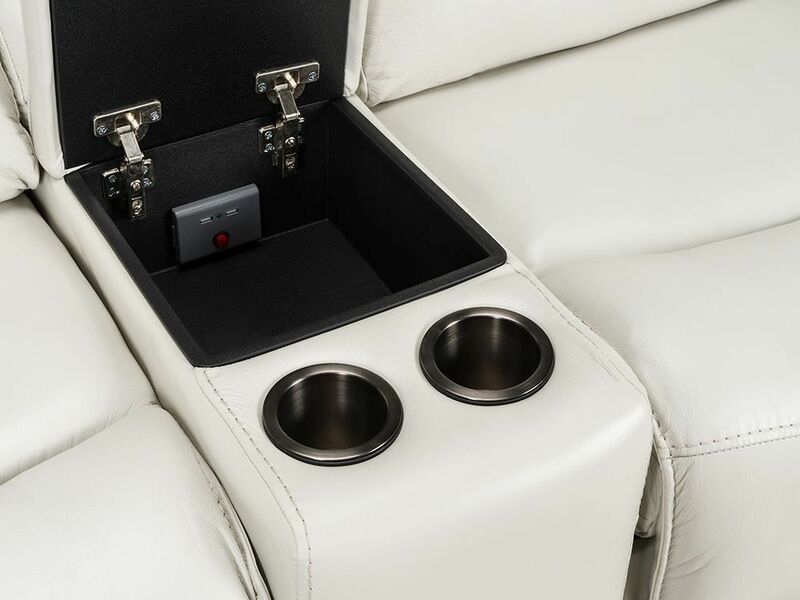 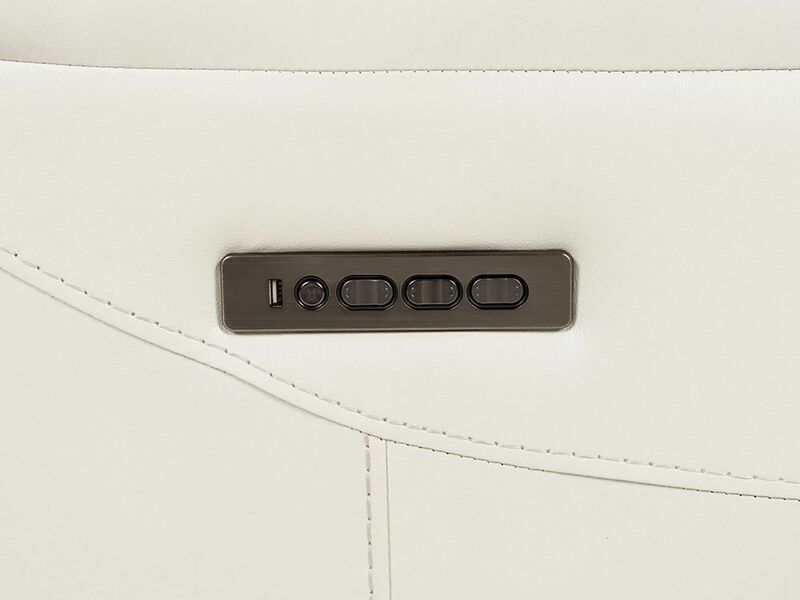 The padded headrest and footrests offer luxurious softness, and the easy-to-reach power reclining mechanism allows you to relish the comfort effortlessly. 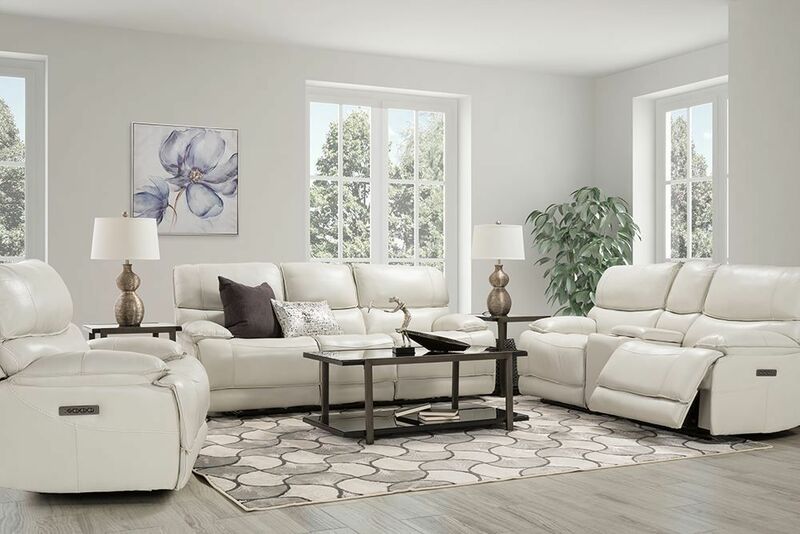 This piece is well-suited to your busy family room, a media room, or a favorite corner in your living room where you head to catch your breath at the end of a busy day. 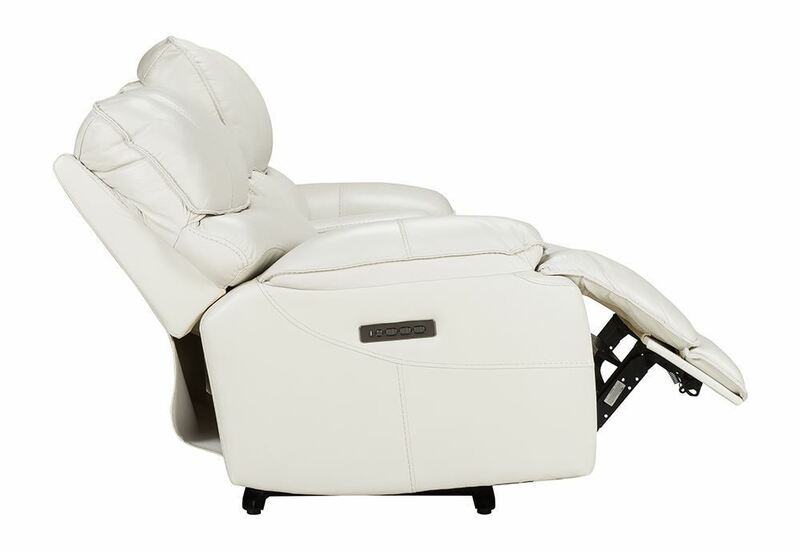 Discover all the relaxing possibilities today with the Sky Ice Power Reclining Console Loveseat! 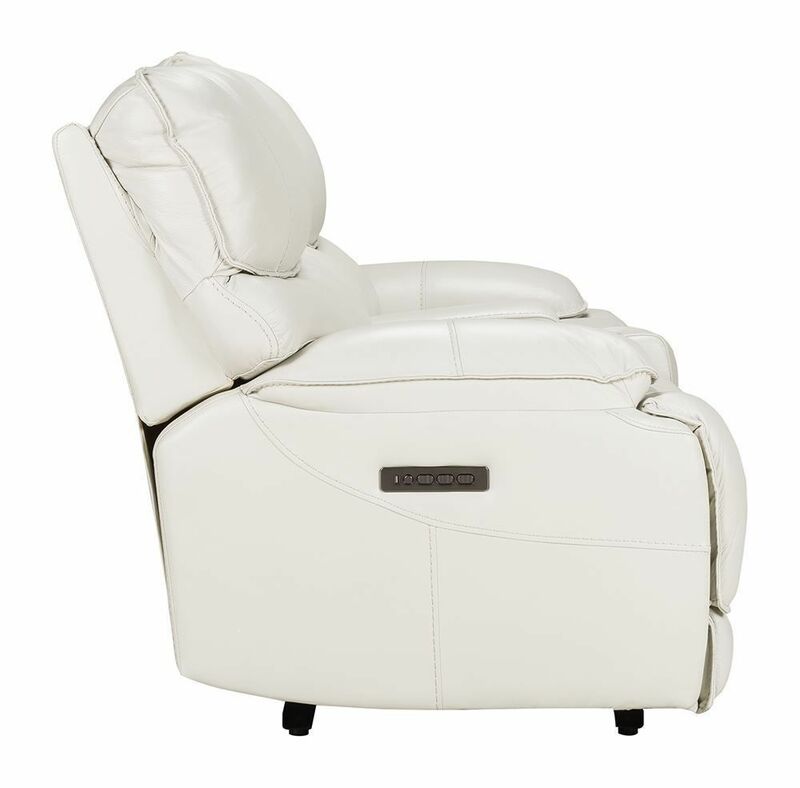 Relax with ease with the Sky Ice Power Reclining Console Loveseat.